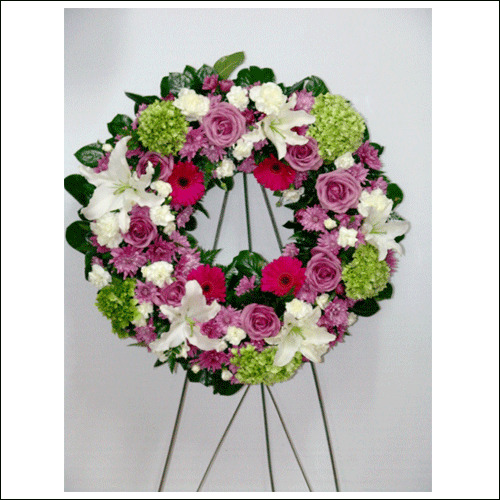 Lavender roses and Casa Blanca lilies are joined by hydrangea to give your sympathy in their time of loss. Standard Wreath includes 35 stems. Deluxe Wreath includes 40 stems.